Do we have a new leader? According to the latest Emerson Poll of national Democrats, we do, and Sanders is atop the leaderboard by about a five-point margin. According to the survey, Sanders leads all Democrats with 29-percent support, followed by Joe Biden at 24 percent, and Pete Buttigieg at 9 percent. This is the first poll to show Sanders in the lead on RealClearPolitics’ list of primary polls dating back to October 2018. A previous Emerson poll from March did, however, show Biden and Sanders tied. Meanwhile, news that Sanders’ best-selling book has made him a millionaire has led some critics to question whether he’ll continue to rail against “the millionaires and billionaires” that he so often lambasted on the campaign trail in 2016. Sanders wrapped up a four-day, five-state tour in Pittsburgh on a Sunday at a rally with about 4,500 supporters. He promised to win the traditionally blue states Hillary Clinton lost Trump in ’16: Pennsylvania, Wisconsin, and Michigan. Far-left liberal Rep. Alexandria Ocasio-Cortez landed a blow against Biden on Sunday when she told Yahoo News that the prospect of a Biden campaign did not “animate” her. Her rationale? It would be a nostalgia-filled candidacy, reliant on fond memories of the Obama administration, and she would prefer to focus on the future. Will other Democrats feel the same way? The former veep headed to South Carolina on Monday to eulogize a former Senate colleague, Fritz Hollings. Biden eulogized Ted Kennedy and more recently John McCain, but it’s his eulogies for one-time segregationists like Strom Thurmond and Hollings that is causing some Democrats to become uncomfortable. At “a time when Democrats are placing greater emphasis on gender and racial diversity,” the Associated Press notes, it’s acts like this by Biden that certain liberals find troubling. Buttigieg made a formal entrance into the 2020 presidential primary on Sunday with a rally in his hometown of South Bend. About 6,000 attended the event that focused on the economy, climate change, and the government’s role in protecting freedom. Notably, Buttigieg did not mention Vice President Mike Pence, who formally served as the governor of Indiana. The media has fanned the flames of a feud between the two after Buttigieg criticized Pence’s LGBT record. Buttigieg has seen a steady increase in his polling since March. The Emerson poll cited above showed the mayor with 9 percent support nationally and an average of 7 percent in Iowa. Booker also unveiled a plan on Monday that he says will cut taxes for more than 150 million Americans. Dubbed the “Rise Credit,” Booker’s proposal would expand on the existing Earned Income Tax Credit designed to help lower-income workers. Read the details of that plan here. Warren unveiled yet another policy proposal this week, adding to well-informed Democratic voters’ homework load. Her latest focuses on protecting public lands from fossil fuel leasing. Yet despite all of these proposals, Warren continues to tread water in the campaign. She routinely earns high single-digit polling results, and her fundraising haul of $6 million. The problem for Warren, according at least on CNN analyst? Democrats aren’t interested in policy proposals this go-around. Klobuchar also released her tax returns this week (12 years of them, dating back to 2006). Unlike Harris’s seven-figure income, Klobuchar had a total income of about $338,000 in 2018. Klobuchar is also planning another swing through Florida this week, stopping in Miami on Tuesday for a health care roundtable and Tallahassee to meet with Democrat state leaders in the Florida legislature. Perhaps recognizing Florida’s importance to securing the nomination, this is Klobuchar’s second trip to the Sunshine State. She met with climate activists in Tampa in March. Sen. Kirsten Gillibrand (D-NY) reported raising just $3 million in Q1 of 2019. That puts her in dead last among her Senate presidential colleagues. She also earned the weakest CNN town hall ratings of any 2020 contender. Former HUD Secretary Julian Castro (D-TX) reported raising $1.1 million in the first quarter of 2019. Rep. Eric Swalwell (D-CA) told CNN’s Jake Tapper that his support for an assault weapons ban would not impact owners of pistols, rifles, and shotguns. Former Gov. John Hickenlooper (D-CO) delivered an inclusive message during his latest swing through Iowa. “I’m running for president because I think we are in a national crisis of division,” he said. Gov. Jay Inslee (D-WA) got his own CNN town hall last week, focusing primarily on climate change, health care, and Donald Trump. How Much Money Are 2020 Democrats Raising? There are currently 14 Democrats who have announced they are running for President. With such a crowded field, candidates are working hard to carve out a lane for themselves and draw potential donors to their cause. In an effort to demonstrate they have broad party support, several campaigns have already announced their early fundraising numbers. Beto O’Rourke (D-TX) raised $6.1M in online donations during his campaign’s first 24 hours. Bernie Sanders (I-VT) raised $5.9 million in the first 24 hours after his presidential announcement. Kamala Harris (D-CA) raised $1.5M in her first 24 hours. John Hickenlooper (D-CO) raised more than $1M in less than 48 hours. Amy Klobuchar (D-MN) raised more than $1M in the 48 hours after launching her campaign. Jay Inslee (D-WA) raised $1M in his campaign’s first three days. Elizabeth Warren (D-MA) did not formally announce how much she raised. However, according to fundraising figures reported by ActBlue, she pulled in at least $300,000 from 8,000 donors on her first day. Another big dog jumped into the fight this week, as Sen. Bernie Sanders (I-VT) made iet official. Sanders’ entrance made a splash in more ways than one. His larger-than-life persona is sure to dominate the Democratic primary conversation, and his fundraising prowess is already on full display. Meanwhile, former Vice President Joe Biden continues to lead every single national poll and many state-based surveys. And the other up-in-the-air candidate, former Rep. Beto O’Rourke (D-TX), put his fellow Democrats in the hot seat by his bold declaration about the border wall near El Paso. Bernie’s back, and he’s making a splash. 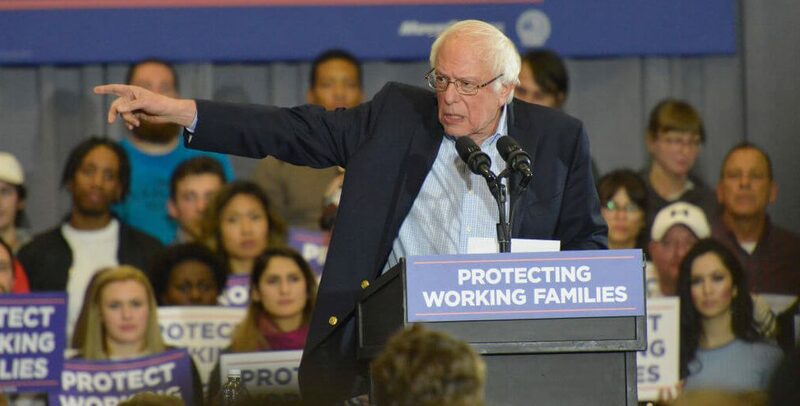 The Vermont independent announced Tuesday he’s officially running for president again, delighting his supporters and potentially throwing a wrench in the plans of other far-left liberal candidates hoping to take over the “progressive” mantle from the 77-year-old. Within 24 hours of his announcement, Sanders’ campaign said they raised nearly $6 million – likely more than all the other announced candidates’ first 24 hours combined – from more than 225,000 donors. In an interview on the liberal program, “The Young Turks,” Sanders said his ideal running mate would be female and “ a couple of years younger” than him. While the country waits for Biden to make a decision about running for president, the former vice president appears to be in no hurry. During a speech at the University of Pennsylvania on Tuesday, Biden said he’s more optimistic about the country than ever, argued how he would reverse President Trump’s foreign policy moves, and demanded new worker protections to strengthen the middle class, per the Washington Post. But what he did not do was hint at his thinking about 2020. A new poll of Democratic primary voters in New Hampshire showed Biden once again leading the field with 28 percent, followed by neighboring-state favorite Sanders at 20 percent, Sens. Kamala Harris (D-CA) at 14 and Elizabeth Warren (D-MA) at 9. Fourteen percent said they were undecided. Nationally, the results are similar, according to a Morning Consult poll. 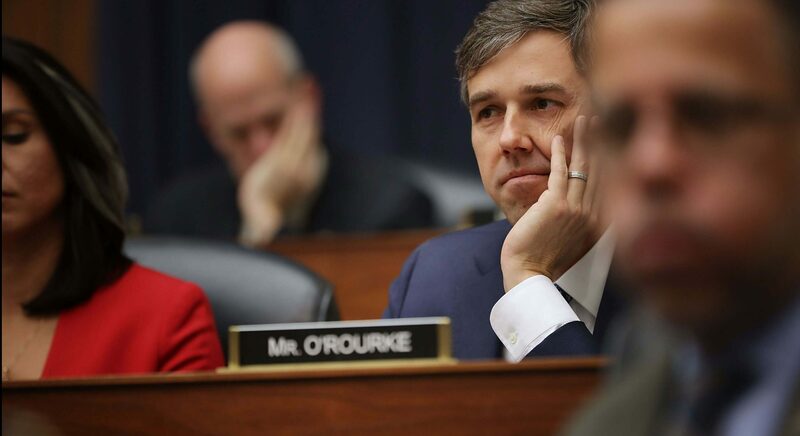 The other will-he-or-won’t-he candidate that Democrats are eagerly watching, O’Rourke gained attention (and some scrutiny) when he told MSNBC’s Chris Hayes last week that he believed the border wall separating El Paso and Mexico should come down. Specifically, he added that if the question were put to the residents of El Paso, they would agree with him. O’Rourke’s bold proclamation wound up putting other 2020 Democrats in the hot seat this week as many of them were asked if they agreed with O’Rourke’s assessment. Sen. Kirsten Gillibrand (D-NY) was asked the question on camera, and she argued that if removing parts of the wall “makes sense, I could support it.” The question was also put to Harris, who basically dodged answering. The president is eager to make socialism a contentious 2020 issue, but Harris was quick to bat away a voter’s question about the topic earlier this week. “The people of New Hampshire will tell me what’s required to compete in New Hampshire, but I will tell you I am not a democratic socialist,” she said in Concord. The remark was a not-so-subtle dig at Sanders and liberal rising star, Rep. Alexandria Ocasio-Cortez (D-NY), both of whom self-identify as socialists. But when pressed on the issue by NBC News’ Kasie Hunt, Harris struggled to explain why a policy like Medicare For All is not socialism. During a CNN town hall on Monday evening, Klobuchar raised some eyebrows when she publicly broke with many far-left liberals in her party on key issues, namely Medicare for All and free college tuition for everyone. The two projects are pet causes of Sanders, but Klobuchar argued for a more gradual approach. On health care, she said she supported a “public option” as a better immediate alternative to the current health care situation. “I am not for free four-year college for all, no,” Klobuchar said. “If I was a magic genie and could give that to everyone and we could afford it, I would.” Instead, she pitched an expansion of Pell grants, free two-year community college, and streamlined refinancing programs. But, the sources said, the campaign has an internal analysis that shows the initiative will likely require approximately $700 billion in new federal spending over 10 years. That is a net figure, taking into account higher economic benefits of early childhood investments, such as making it easier for new parents to return to work. Warren’s team claims that they will use the money from her wealth tax, a plan that taxes the wealthy simply for being wealthy, to help offset costs for the free child care plan. The larger question there, is if her wealth tax (which would need to pass Congress first) is even constitutional. Two Coloradans, former Gov. John Hickenlooper (D-CO) and Sen. Michael Bennet (D-CO), are headed to Iowa this week to test the waters. Hickenlooper will be in Sioux City, Carroll, and Ames this weekend, while Bennet plans to visit Dubuque on Thursday. Former NYC Mayor Michael Bloomberg’s philanthropy has given away $6.4 billion to projects taking on the gun lobby, obesity, and the tobacco industry. His team is now beginning the process of “asking beneficiaries of his largesse if they’d be on board for his presidential bid.” Don’t call it a shake-down! Sen. Sherrod Brown (D-OH) got the kind of press he might be hoping to avoid as he mulls a 2020 run: a new Politico story noted that he could be viewed on Wall Street as more reasonable alternative to hard-liners like Warren or Sanders. That might not play well among the party’s far-leftwing base. Rep. Tulsi Gabbard (D-HI) appeared on ABC’s “The View” on Wednesday and defended her positions on Syria and Venezuela, arguing that the U.S. should not be involved in the unrest in either nation. Former HUD Secretary Julian Castro (D-TX) has struggled to make headlines since announcing his presidential exploratory committee, but he’s visiting towns in Northwest Iowa Friday and Saturday and has pledged to visit all 50 states during his presidential campaign. The Democratic presidential primary is at the point now in which candidates jumping in two by two. Over the past weekend, little-known candidates Julian Castro and Tulsi Gabbard took the plunge. Meanwhile, two much better-known candidates are expected to make similar moves this coming weekend. He’s in, whether anybody cares or not. Castro made it official in his home town of San Antonio over the weekend. As one of the youngest candidates in the 2020 presidential field, Castro will be making a play for the old Obama coalition: young, diverse constituencies who see him as the future of the party and country. And as likely the only Latino in the race, he could have an advantage among minority communities in key states like Texas and California, both of which vote early in the primary calendar. But Castro’s biggest disadvantage could come from his neighbor to the west on I-10. Should former Rep. Beto O’Rourke jump in the presidential race, it could take some of the wind out of Castro’s sails. O’Rourke would trump Castro on name ID and his proven fundraising capabilities would potentially limit Castro, particularly among Texas donors. She’s in, too! Gabbard, 37, revealed over the weekend that she is jumping in the presidential fray as well. Perhaps best known for being a vocal Bernie Sanders backer in 2016, Gabbard is an Iraq War veteran and she currently serves on the House Foreign Affairs Committee. Like Castro, Gabbard’s candidacy is viewed as a longshot. Not everyone in the Democratic Party applauded when Gabbard jumped in, however. Former Sen. Claire McCaskill (D-MO) and former DNC Chair Howard Dean tweeted their disgust at Gabbard’s past actions, which included her flying to Syria and meeting personally with President Bashar al Assad. Keep your eyes peeled this weekend for an official announcement from Gillibrand. The Associated Press reported she is forming an exploratory committee and announcing her bid “in coming days.” Gillibrand’s traveling to Iowa for unspecified events, and many expect she’ll try to make her splash on the front end of the Martin Luther King, Jr. Day holiday weekend. She’s also made a series of senior staff hires in recent days, including former DCCC spokeswoman Meredith Kelly to serve as the head of Gillibrand’s communications team. Per the Associated Press, Gillibrand may select the small city of Troy, New York as her campaign headquarters. It’s an unusual choice, but it’s not far from the international airport in Albany. Last week, the San Francisco Chronicle reported that Harris’s political team was eyeing both a West Coast headquarters (most likely in the San Francisco Bay area) and an east coast headquarters, potentially in Baltimore, Maryland. Insiders expect Harris to announce her 2020 plans at an event in Oakland, California, where she was born. Responding to a shot leveled at him by Sen. Elizabeth Warren (D-MA), Bloomberg said he would certainly self-fund his campaign, should he jump into the 2020 race. At an event in Iowa last weekend, Warren ratcheted up the populist rhetoric by arguing that billionaires don’t belong in the White House. 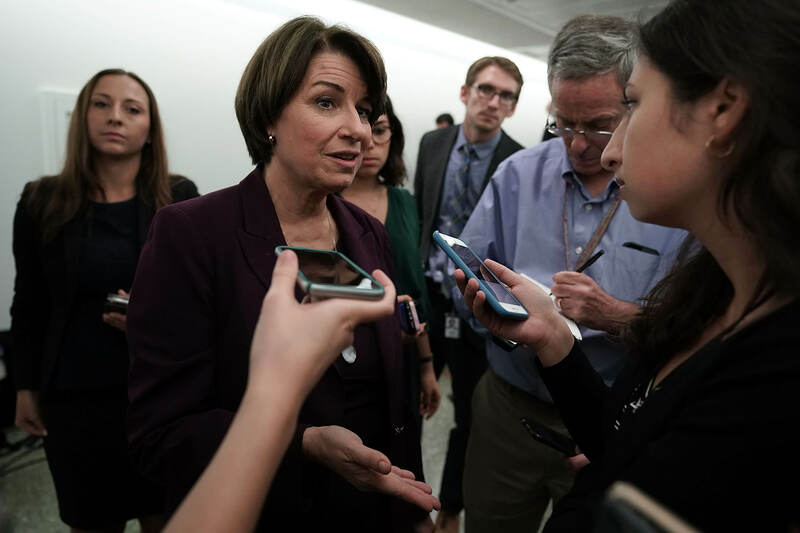 During an NPR interview Tuesday morning, Klobuchar told Steve Inskeep, “I’m going south for the winter,” when asked about heading to Iowa. For those geographically unaware, Iowa is due south of Klobuchar’s home state of Minnesota. Few expect Klobuchar’s announcement to come around the same time as her Senate colleagues, Gillibrand and Harris. This morning Minnesota Sen. @amyklobuchar told @NPRinskeep "I'm going south for the winter" when he asked if she was heading to Iowa. As 2018 winds to a close, there’s no shortage of news coming from Democrats who want to run for president. Polls, particularly those among liberal special interest groups, are giving early indications about the direction Democrats may choose to go. And some candidates are already forming exploratory committees and planning official announcements in the coming days and weeks. The former Housing and Urban Development (HUD) secretary under President Obama announced this week he’s forming an exploratory committee for a White House campaign. Castro told the Associated Press that he plans to make a formal decision by January 12. To be clear, Castro will face enormous hurdles if he becomes a candidate. He’s the former mayor of San Antonio, but he’s never run statewide in Texas (or anywhere else). In 2016, he appeared to audition for the VP spot for Hillary Clinton but fell short. To make matters worse, the 44-year-old Castro has spent the past year watching fellow Texan Beto O’Rourke capture the hearts and imaginations of liberals across the country. In all likelihood, Castro is announcing early to try to get ahead of “Betomania,” should O’Rourke decide his time to run is now. 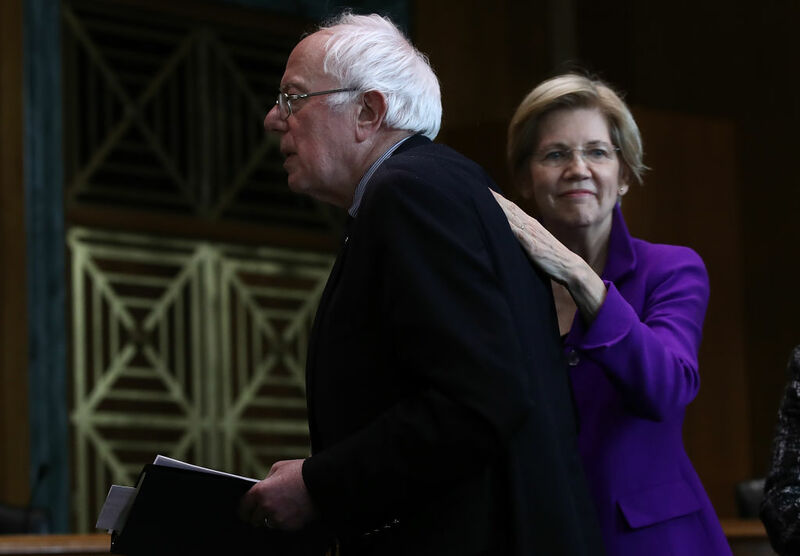 After weeks of speculation, Warren saw her stock plummet when Democracy for America (DFA) released a poll of its members showing her coming in 4th place among 2020 Democrats. She trailed Sen. Bernie Sanders (I-VT), former Vice President Joe Biden, and O’Rourke in the poll that showed her in first place in 2016. The results reinforce the Boston Globe editorial that argued Warren missed her chance to run last time and the notion that a recent string of bad headlines have become setbacks to her campaign. DFA Executive Director Charles Chamberlain said the poll results indicate that Warren’s team has “some work to do” to win back disenchanted liberals. The midwestern Democrat earned double-digit support in Iowa, according to a Focus on Rural America poll released this week. At 10 percent, Klobuchar led Warren at 9 percent, and fellow Senate colleagues Kamala Harris (D-CA) at 7 percent, Cory Booker (D-NJ) at 6 percent, and Sherrod Brown (D-OH) at 3 percent. That should give Klobuchar reason to be cautiously optimistic, but it is important to note that Iowa is losing some of its influence in the 2020 cycle thanks to states like Texas and California moving their primary dates up to early March. With early voting, voters will be picking candidates in California and at the Iowa caucuses on the same day. Gabbard’s trial balloon from a couple weeks ago has turned into a full-fledged effort, according to BuzzFeed News. “Her team is actively seeking to staff senior roles on a potential presidential campaign, according to a person briefed on the outreach, and has indicated that an announcement could come as soon as this week,” BuzzFeed’s Alexis Levinson wrote Monday. Gabbard is a full-fledged liberal who has not shied away from bucking her party. She criticized President Obama, campaigned hard for Sanders in the 2016 presidential primary, and has an unusual (at best) relationship with Syrian President Bashar al Assad, who has killed thousands of his own people with toxic gas. She is also a veteran who served in a field medical unit of the Hawaii Army National Guard, with tours of duty in Iraq and Kuwait. At only 37 years-old, Gabbard’s campaign would no doubt be “unconventional,” as Levinson notes. Keep an eye on an announcement in the coming days or weeks. Betomentum continues as the Texas Democrat topped a MoveOn.org poll of its members last week. In an early straw poll of the liberal group’s membership, O’Rourke narrowly defeated Biden, 15.6 percent to 14.9 percent. Sanders earned 13.1 percent in the poll. In 2016, 78 percent of MoveOn members chose Sanders over Clinton in a similar poll. Democrats supportive of O’Rourke launched a “Draft Beto” campaign Tuesday, according to Politico. The group’s goal, for now, is simple: raise $1 million for his future political campaign. But O’Rourke was the best fundraising Senate candidate in 2018, so the move is likely more about keeping the Texas congressman’s name in the news than it is about money. 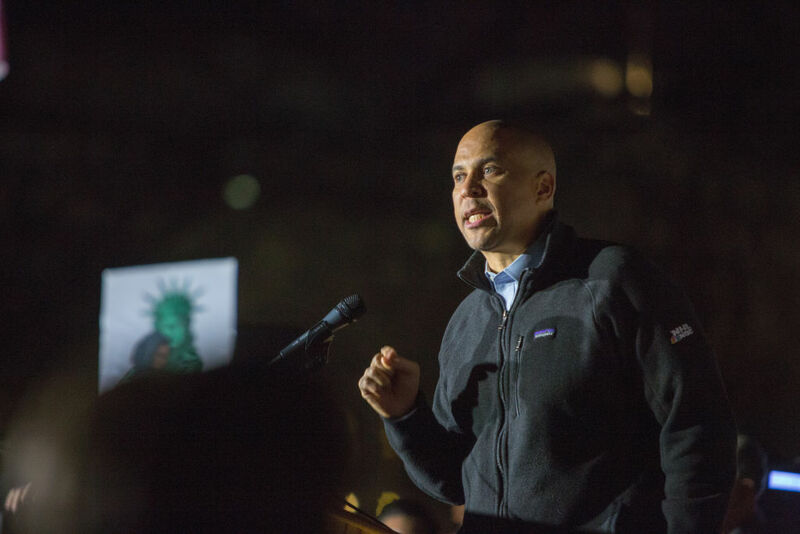 Booker became the second likely 2020 Democrat to back the so-called “Green New Deal” last week. It’s the brainchild of liberal groups the Sunrise Movement and Justice Democrats, and the Huffington Post describes it as “the radical plan to zero out greenhouse gas emissions in a decade and reduce poverty with federally backed clean-energy jobs.” Sanders has already endorsed the plan, which was a regular part of Rep.-elect Alexandria Ocasio-Cortez’s stump speech on the campaign trail. Further adding to Booker’s liberal bona fides, Vox.com founder Ezra Klein defended the New Jersey Democrat against criticisms of moderation, saying “his policies are extremely liberal and his message is spiritually radical.” That may be a good thing for Booker right now, but it won’t if he makes it out of the primary. Women of color are very strong supporters of Harris’s potential 2020 bid. 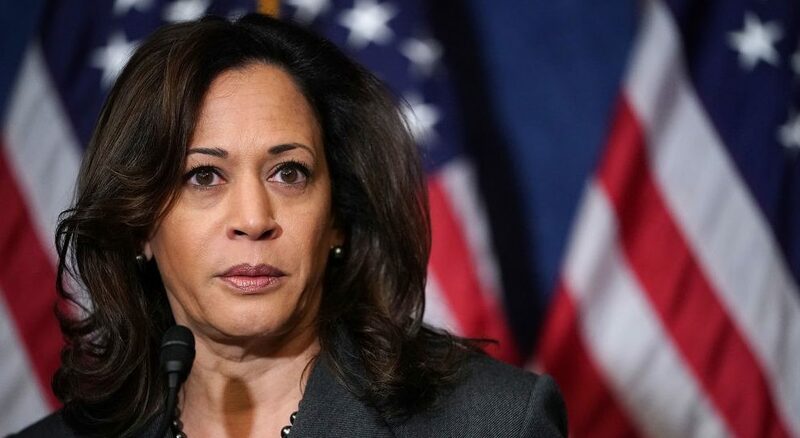 According to BuzzFeed News, a recent poll conducted by She The People found that Harris was among the top three choices of a whopping 71.1 percent of the group’s respondents. The next best candidate in the survey, O’Rourke, was in the top three among just 38.3 percent. 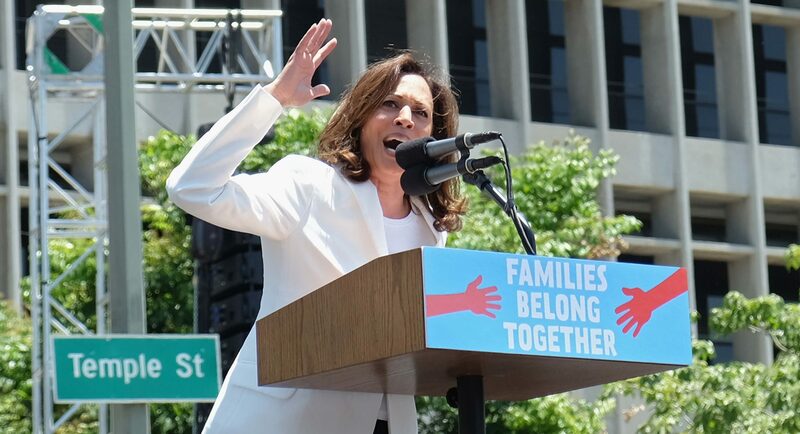 The survey was conducted among just 264 women across the country, but it should serve as a wake-up call to all 2020 Democrats that Harris will be a force to be reckoned with among this constituency, should she decide to run. In other Harris news, her office announced that she just returned from Afghanistan in a likely attempt to increase her national security profile. It was a busy weekend for potential 2020 presidential candidates as a whole host of Democrats openly speculated about timelines, campaign strategy, and more. The upcoming presidential election is expected to include as many as two dozen candidates. Those in the news over the weekend include senators, a congresswoman, and a governor. 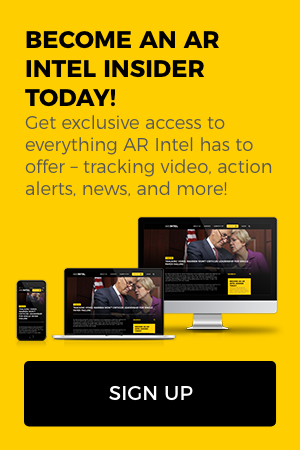 To get a breakdown of the latest moves among potential 2020 Democrats vying for the opportunity to challenge President Donald Trump, sign up for a free 7-day trial of AR Intel today!